A Fianna Fáil councillor has become the first in the party to publicly break ranks and commit his support to an Independent candidate seeking a presidential nomination. Ballyfermot councillor Daithí de Róiste said he would support Joan Freeman if she came before Dublin City Council seeking a nomination. The senator is due to canvass a number of local authorities in the hope of securing the support of four, which she needs to lodge nomination papers. A decision by Fianna Fáil leader Micheál Martin not to impose a whip on his councillors has opened up the local authority route for potential challengers. However, despite not enforcing sanctions for anyone going against the party’s position, Mr Martin has advised councillors not to facilitate the nomination of a challenger to Michael D Higgins. Similarly, Fine Gael councillors have been requested not to nominate a candidate in opposition to the sitting President. Mr de Róiste said he would vote for Ms Freeman irrespective of his party’s position, however. “I think Joan is a phenomenal woman and she would make an excellent president. You only have to look at the work she has done with Pieta House nationally and here in Ballyfermot,” he told the Irish Independent. 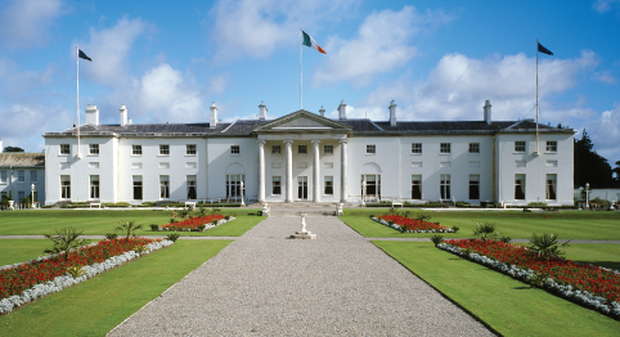 Mr de Róiste said there was a mental health crisis in Ireland and having a mental health advocate in the Áras would help boost a national conversation around such issues. Dublin City Council is due to host a meeting to facilitate potential candidates to come and make their pitch before the council. Fianna Fáil councillor Paul McAuliffe sought the support of his party colleagues to seek an emergency meeting to allow potential challengers to come before the council. In a letter to local authorities this week, Ms Freeman set out her vision for the presidency and pledged to foster a national conversation around wellbeing and to promote volunteerism. A number of other people have suggested they would like to contest the election, including businessman and ‘Dragons’ Den’ entrepreneur Gavin Duffy and artist Kevin Sharkey, who are also expected to pursue a nomination via local authorities. It is understood Mr Duffy has been interacting with a number of local authorities behind the scenes. A source close to his campaign estimated there were enough local authorities with the potential to nominate a number of candidates. Mr Duffy is expected to launch his campaign towards the end of next week. Cormac McQuinn FIANNA Fáil has seen its support drop according to a poll that is to be published in full tomorrow. Cormac McQuinn FORMER Minister Martin O’Donoghue has been remembered as a “true gentleman” who had a “long and distinguished career”.